Shubhashree Sangameshwaran’s debut book illustrates the benefits of adopting the zero-waste lifestyle. 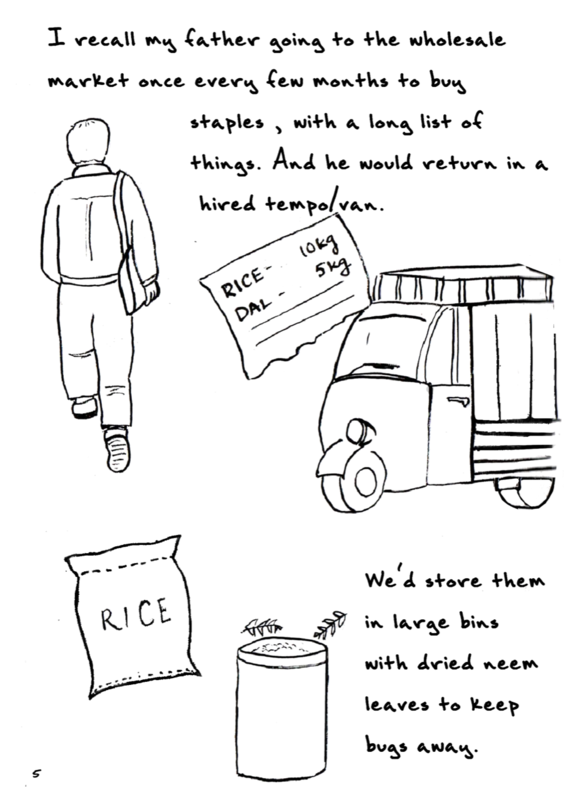 In 2016, freelance illustrator Shubhashree Sangameshwaran stumbled upon a blog by environmental activist Lauren Singer that introduced her to a way of waste management that she had never heard of. The concept did not just intrigue her, it “blew her mind”. “In one of her posts the [United States-based] activist mentions that she could fit in the waste generated by her in four years in a small jar,” said Sangameshwaran, a resident of Hyderabad. It struck Sangameshwaran that the zero-waste lifestyle, as espoused by Singer, could be the “ideal means to end the humongous volume of trash we generate each year”. The zero-waste philosophy encourages reuse and recycling. The goal is to reduce and finally eliminate waste materials being sent to landfills. A research article published in the Science Advances, a peer-reviewed scientific journal, says: “As of 2015, approximately 6300 Mt of plastic waste had been generated, around 9% of which had been recycled, 12% was incinerated, and 79% was accumulated in landfills or the natural environment.” The zero-waste lifestyle has gained popularity abroad, especially in the US, with millennials driving the change, but is yet to find similar traction in India. 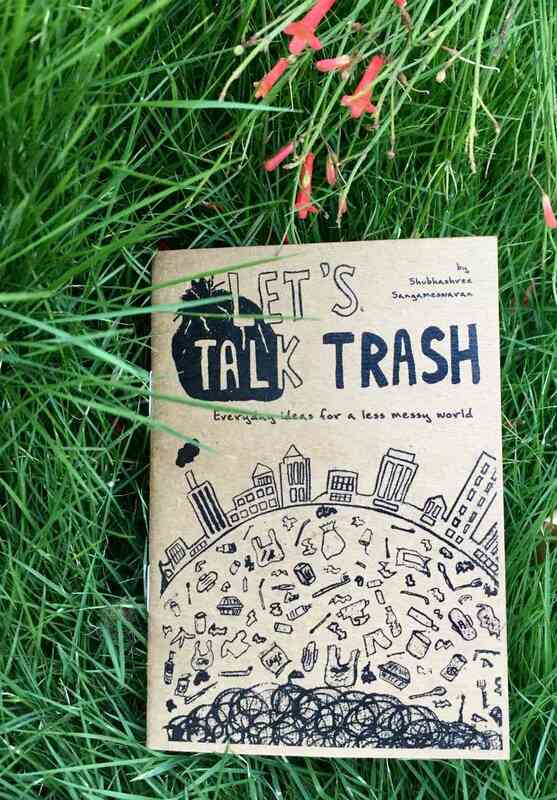 She starts the book by listing three ideas that can be used as initial steps towards adopting a zero-waste lifestyle. They include avoiding bottled water (carry a bottle of water from home instead), refusing plastic straws and using cloth bags instead of plastic ones while shopping. Sangameshwaran, a self-taught artist, brings out the theme through pictures and supplements them with minimal text. 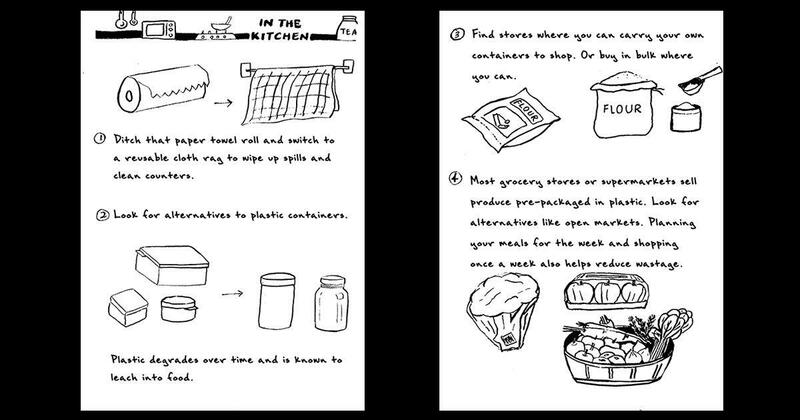 Miniature sketches are used to illustrate ideas and tips (under different categories such as kitchen, shopping and party) on how to reuse, recycle and waste less. The book has 36 pages and took her about three months from the initial conception and design to publishing. 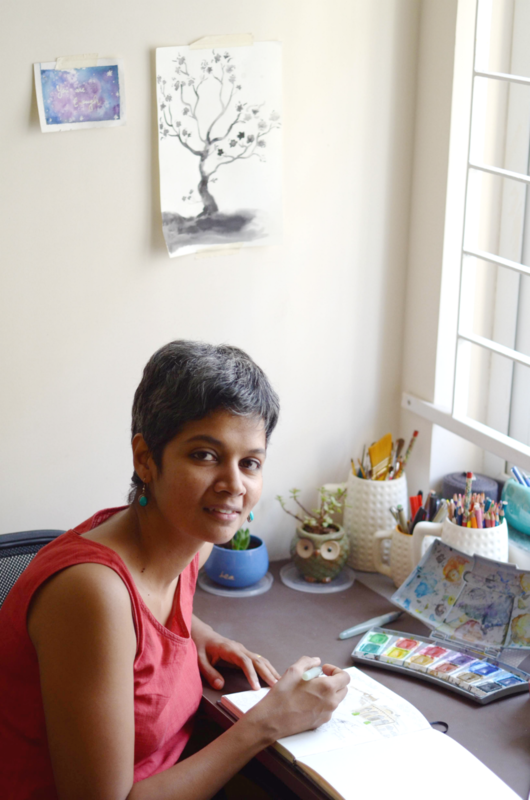 Sangameshwaran’s focus was to ensure that young readers responded to the content, which is why she decided to go illustration-heavy. 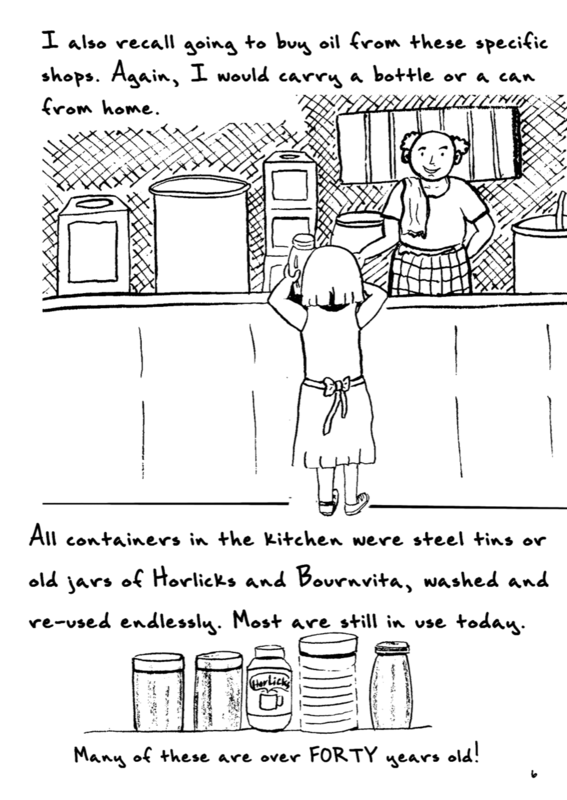 The various tips – like the importance of using cloth and not paper towels that’s part of the ‘In the Kitchen’ chapter – are all explained with the help of simple sketches. “I didn’t want to bring out a text-heavy manual, and illustrations have a way of connecting with people,” she said. Black and white are the only colours used to ensure the images are not overwhelming. The response to the book, Sangameshwaran says, has been encouraging. “That my book has reached out to kids is gratifying. My friend told me that his 10-year-old daughter refused to use a plastic straw while drinking coconut water after reading the book, much to the amusement of the vendor.” She is currently working on translating the book into other languages. Before Let’s Talk Trash, Sangameshwaran had illustrated a couple of children’s books and worked as a food illustrator for a friend’s baking studio. A software engineer, she worked with various multinational corporations in the early 2000s. A brief stint in an advertising agency reignited her childhood passion of design, starting her off on her journey as a freelance illustrator around four years ago.